Remote Desktop Services, previously Terminal Services, is packaged with Windows Server 2008 R2 and contains a plethora of improvements and new features. If you're unfamiliar with Remote Desktop Services (RDS), it may be because you've only with dealt the earlier version of the product, Terminal Services. The latest incarnation of Microsoft's desktop virtualization offering is packaged with Windows Server 2008 R2 and contains a plethora of improvements and new features. Regardless of the changes, at its core, the product is the foundation for Microsoft's virtual desktop infrastructure (VDI) products. 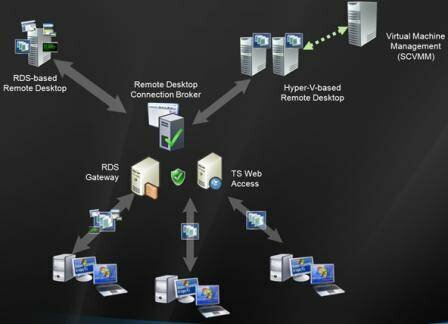 The individual technologies making up RDS securely provide virtualized desktops and applications to remote workers.